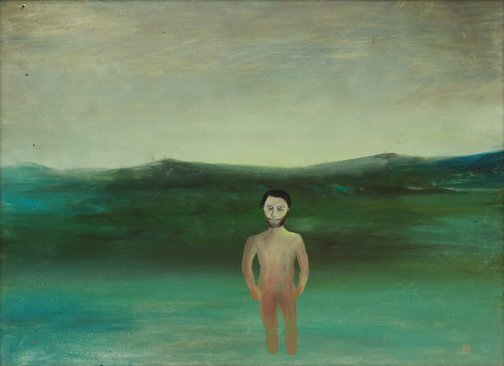 This bold composition, in which an isolated male figure has been placed in the dead centre of an empty seascape fringed with soft hills set against a pale violet sky is one of Nolan's most haunting images of the late 1940s. It is based on his visit to Fraser Island in North Queensland, which he visited in 1947, partly to investigate the accidental death of his brother Ray in Cooktown two years earlier. Nolan read about the story of the shipwrecked Englishwoman Eliza Fraser, who became stranded amongst local Aborigines and was rescued by escaped convict David Bracewell, and painted a series pertaining to the narrative. The figure could represent Bracewell, Nolan himself, or perhaps the ghost of the artist's brother. However, the abiding existential mood of this remarkable work transcends local legend, lifting it into the realm of metaphor about the fundamental condition of individual humanity. Signed l.r. corner, white synthetic polymer paint "N". Not dated. 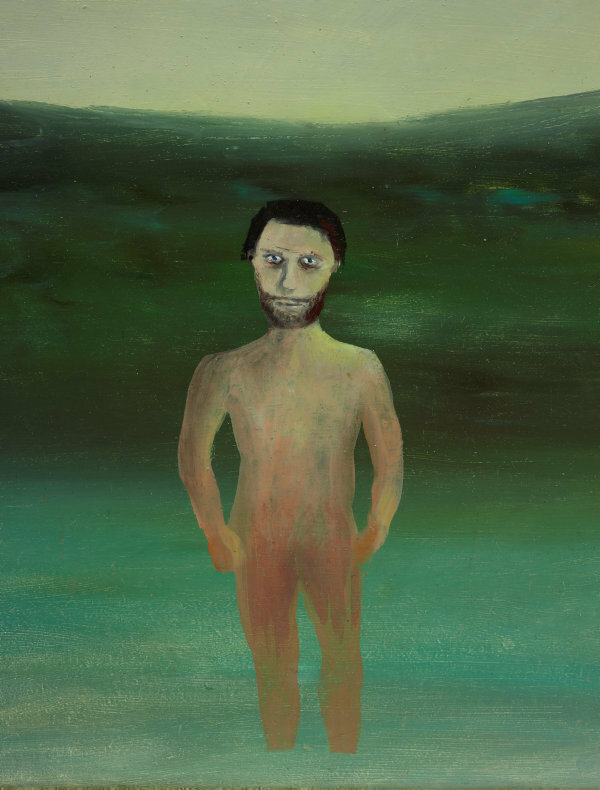 Giles Auty, Sidney Nolan , 'Esstential Nolan', pg. 13, Brisbane, 1948, 13. NOTE: Review of 'Nolan: A Reputation Reassessed'. Robyn Bondfield., Nolan's Fraser , 'Nolan's Fraser', South Brisbane, 1989, (colour illus.). Bruce James, The Sydney Morning Herald , 'Pick of the crop for wily Capon: Gallery acquisitions analysis', pg. 16, Sydney, 12 Apr 2001, 16. 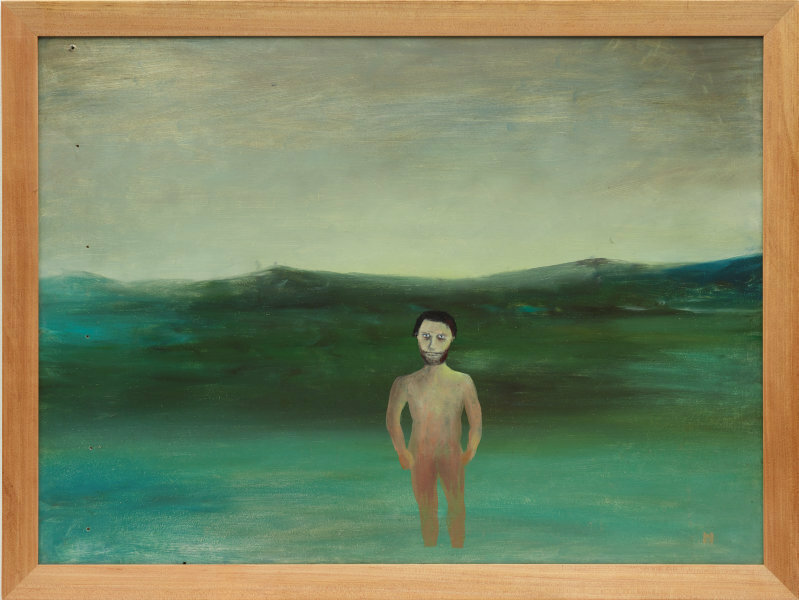 Merlin James, The Burlington Magazine , 'Review: Sidney Nolan, London', pg. 644-646, London, Sep 1997, 645. Barry Pearce, Look: 1953-2003 celebrating 50 years , 'Presenting our own artists: how the AGS put balance into the Australian collection', pg. 42-44, Sydney, May 2003, 43-44. Joyce Stirling., Brisbane Telegraph , 'I'm not so artful', Brisbane, 17 Feb 1948, page unknown. Bronwyn Watson., Look , 'Nolan boost', Melbourne, Jun 2001, 18 (colour illus. ), 19. The Home annual: Australian life and scenery , Sydney, Oct 1935. Look , 'Doing justice to Nolan', pg. 8, Sydney, Mar 2005, 8 (colour illus.). NOTE: Reproduction shows Judith White, executive director of the Society, in front of the work. Sidney Nolan , 'Mrs Fraser', pg. 100-111, London, 2002, 104-105, 106 (colour illus. ), 108. Look , 'Important purchases: what the Society and Contempo bought for the Gallery in 2001', pg. 16-17, Melbourne, Dec 2001-Jan 2002, 16, 17 (colour illus.). Art Gallery of New South Wales annual report 2001 [for the year ended 30 June, 2001] , Sydney, 2001, 8, 13 (colour illus. ), 24, 26. Sir Sidney Nolan: a retrospective celebrating his 75th birthday , Harewood, 1992, 6. Look , Sydney, Oct 2007, 11. NOTE: Society President, Michael Feneley referencing the Nolan exhibition. 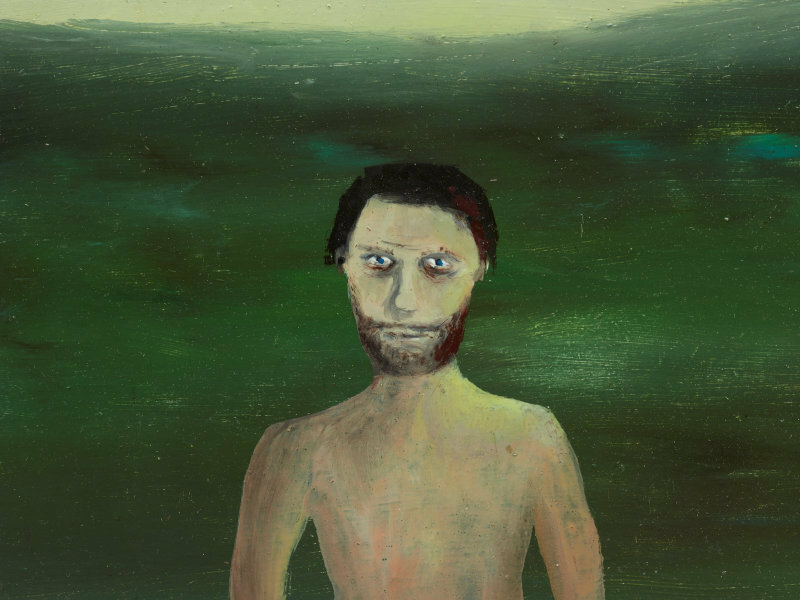 Sidney Nolan: such is life , Melbourne, 1987, 95 (illus. ), 96.